Coconut oil has been a topic of news in the mainstream media again recently, so let’s look at some of the misinformation that is still being spread about coconut oil. First of all, why would the mainstream media even say anything about coconut oil, since the main point they try to continue driving home to people is: “There are no studies backing the health claims of coconut oil”? Because the public, for the most part, does not believe this anymore, and the media needs to address the information that is out there, particularly the massive amounts of testimonies being published regarding coconut oil’s effect on neurological diseases like Alzheimer’s Disease. It is important to remember that by U.S. law all health claims made for any product must be approved by the FDA. Of course, the FDA typically only approves health claims for drugs manufactured by pharmaceutical companies. This is a multi-million dollar process to get a product approved as a “drug” by the FDA, and no company will invest that kind of resources into a natural product they cannot patent. So if a company selling coconut oil were to advertise their coconut oil product as being helpful in treating Alzheimer’s, for example, they would face prosecution by the FDA, which can include having all of the company’s inventory seized by federal marshals, effectively putting the company out of business. So what is the basis of mainstream media’s current attack against coconut oil? It is similar to what the attacks have always been, but they have modified it here in recent times to make it seem more credible, while seemingly admitting that coconut oil does have some benefit. 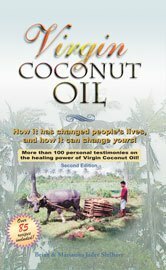 Notice the shift that is occurring in the mainstream media and medical community concerning the official response against coconut oil: They have moved from “coconut oil is bad and should be never be consumed” to “coconut oil is OK in moderation but still dangerous in excess.” Well if they were wrong to begin with, we should also be suspicious of their current negative warnings. Why the shift? Because if you read the testimonials of those who are consuming coconut oil for health benefits, particularly Alzheimer’s, people are consuming anywhere from 3 tablespoons a day up to 9 tablespoons a day! (Although it is unwise to begin with this much if you are not used to eating coconut oil.) Also, this leaves the door open for them to develop drugs from coconut oil, or based on coconut oil’s health benefits, and these new drugs will be recommended over the consumption of the whole food product. But what about Dr. Willett’s statement? Is it true? No. It has multiple problems, and it ignores a lot of current research which completely contradicts his statement. But if we assume the LDL cholesterol belief to be true, what about the claim that coconut oil raises LDL cholesterol – is this statement true? Actually, no! Whenever you read a supposed study or “scientific” statement given about a food, the one thing one always needs to keep in mind is that food is not a static entity, like a chemical listed in the periodic table of elements. Foods are dynamic, and making sweeping generalizations about them, as if they were like drugs produced in a laboratory, is almost always suspect and needing closer scrutiny. For example, if you read a supposedly “scientific” statement such as: “red meat causes [fill in the blank with your most dreaded disease]” – do some further scrutiny and find out if indeed studies exist showing this, and how the food is defined that was used in the study. “Red meat” is hardly a static entity. It can be defined from different animals (lamb, beef, bison, etc. ), and it can refer to animals raised in CAFOs (confined animal feeding operations) or those raised on pasture, etc. There are also drugs and chemicals used in meat production that are banned in other countries, for example. (See: Antibiotic Resistant Diseases? Blame the FDA and Their Protection of Big Pharma in Animal Feeds) So how would one even be able to determine if it is “red meat” causing anything? Food is alive and dynamic in its original form, and cannot always be measured in certain terms within a laboratory. There are refined coconut oils that are refined and processed in many different ways, including hydrogenated coconut oil where the small portion of unsaturated fatty acids are hydrogenated to change its melting point, causing trans fats, and there are various methods of producing RBD (refined, bleached, deodorized) coconut oils. There are also “fractionated coconut oils” where some of the fatty acids have been removed, such as “Liquid Coconut Oil” or “MCT oil”. Then there are the unrefined coconut oils, called “virgin coconut oils”, which are produced in a variety of methods. These unrefined coconut oils are the most popular coconut oils consumed today. So have there actually been any studies done comparing the effects of different coconut oils on lipid markers and things like LDL cholesterol? Yes. We are very fortunate that in the last few years, the coconut oil producing countries have begun to wake up and not take for granted that the American view on dietary oils is accurate. They have come to realize that the campaigns against saturated fats and the tropical oils have been largely a political campaign, not a scientific one, and that American research has favored the newer vegetable oils produced since WWII with expeller-pressed technology that favors the hugely subsidized crops of soybeans and corn. These tropical countries have their own universities, professors, laboratories, and research centers, and they have begun to study various coconut oils, particularly their effects on cholesterol levels, since that has been the main point of attack from Western sources. The key determining factor that seems to distinguish unrefined virgin coconut oil from refined coconut oils is the levels of antioxidants present. Virgin coconut oils are much higher in antioxidants and this correlates to a lowering of LDL cholesterol. Antioxidants in dietary oils are far more important of an indicator of health than cholesterol levels, as lipid peroxidation is positively associated with coronary heart disease. This occurs most frequently when polyunsaturated oils are heated, as they are not heat stable, like saturated fats are. But this is generally ignored in the U.S. media and medical community, as it would implicate the heavily subsidized cash crops of soy and corn, highly refined polyunsatured oils that dominate the U.S. market, making this primarily a political issue, and not a scientific one. Are Refined Coconut Oils Harmful? Does this mean refined coconut oils are less healthy and lead to raised LDL cholesterol levels? Not at all. For one thing, you cannot just stick a bunch of rats into a laboratory and only feed them coconut oil. They won’t survive long, as they need other foods and nutrients besides just a source of fat. So if lab rats are being fed different kinds of coconut oils, and it has already been established that virgin coconut oils seem to lower LDL cholesterol via their high antioxidant levels, it is entirely possible that something else in the rats’ diet is elevating their LDL cholesterol. 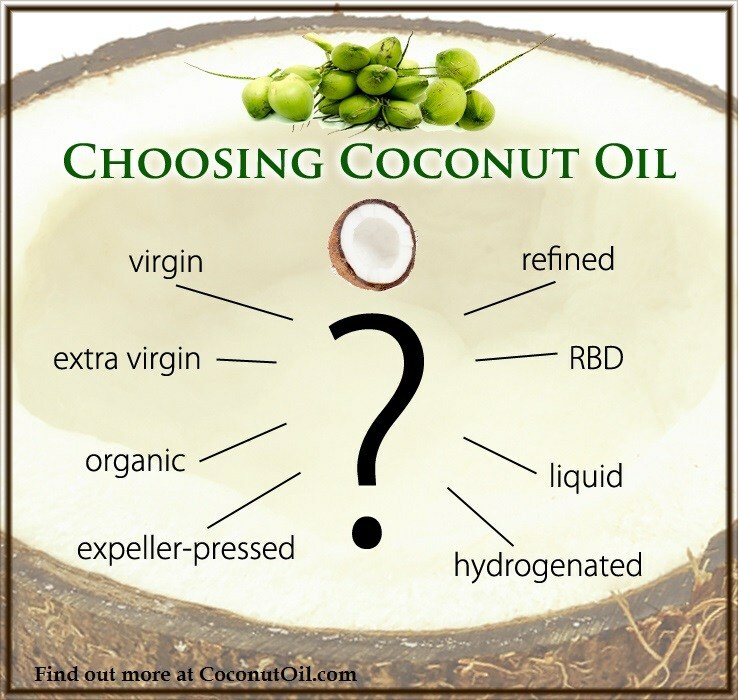 Because the LDL-lowering antioxidants present in the virgin coconut oils are absent from the refined coconut oils, refined coconut oil may be unable to have the same effect as the virgin coconut oil. It does not mean the refined coconut oil was responsible for the elevated LDL cholesterol level – it just means it was unable to lower it like the virgin coconut oil was. The study found that in the two virgin coconut oil groups, HDL cholesterol increased, while LDL cholesterol decreased. This finding is not surprising as it is supported in quite a few others studies. The study also found that the two virgin coconut oil groups also performed better than the refined coconut oil group in terms of HDL to LDL levels. The LDL levels of rats fed refined coconut oil did not increase over thirty days but stayed about the same, while the LDL levels of the control group, which received NO coconut oil at all, increased. So what did these rats eat besides coconut oil? The first group (normal control) was fed a normal/basal diet including casein (20%), starch (63%), a vitamin mixture (2%), a salt mixture (4%), fat (10%), and cod liver oil (1%). So 63% of their diet was starch! 20% was dairy protein, probably leftovers from a commercial dairy processing plant. Could this diet be what was primarily responsible for LDL inflated levels? It would appear so, since this is the only thing the control group ate, while the other groups had coconut oil added, and the control group had the highest LDL level. But there are cracks in the foundation, and there are those within the medical community who are starting to come forward and admit that the predominant view on saturated fats is wrong. Dr. Aseem Malhotra, a leading cardiologist in the U.K., made waves in the British media late last year when he came forward and admitted mainstream medicine was wrong about saturated fats. In the meantime, enjoy coconut oil and all the health benefits associated with it! It is a dietary oil that has been around for thousands of years, nourishing billions of people, and has never been linked to heart disease. Copyright 2014 Health Impact News – permission to reprint fully granted with full credit and links back.